LAST UPDATED 02/06/17 – 1:25pm GMT: Bookmark and return for updates as we get them. 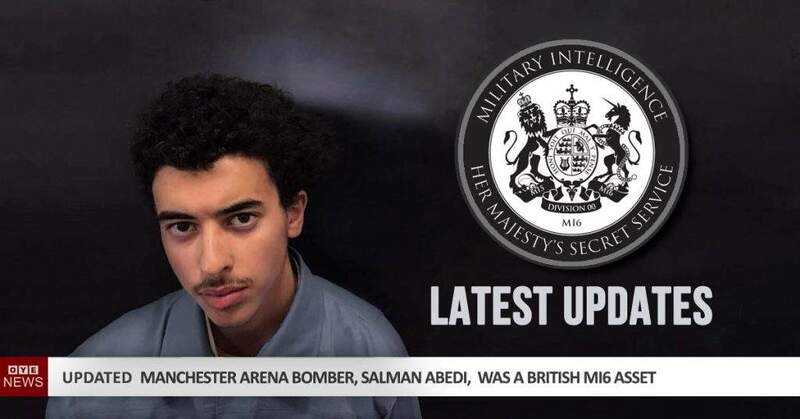 It comes as no surprise to us, but new evidence appears to show that Salman Abedi, the Manchester Arena bomber, was a Mi5/Mi6 asset. *See below video for more details. It is already admitted by the UK government that Salman Abedi was known to them and now this new evidence seems to confirm that Salman Abedi and his family were used by the British Intelligence agencies as proxy assets. This is obviously the reason why no action was taken when he was reported to Mi5. They did not want to deactivate an asset. He regularly travelled to Syria and Libya to fight with ISIS linked groups with the permission of British intelligence and allowed to return to Britain at will. The question now to ask is, was the Manchester bombing a British intelligence directed false flag for election manipulation and to build on the “terror narrative” to – further influence – public opinion on foreign policy, in favour of the “industrial arms complex“. The timing was perfect. But of course, if you ask such things, you are labelled as a tin-foil-hat wearing conspiracy theorist. And even your own mind will resist such an idea. But if you look throughout history, false flags are very real and aren’t a figment of the imagination. 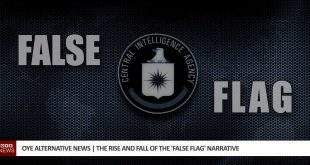 Governments around the world, including the USA, often engage in horrific, publicly admitted false flags, to further an agenda. In the below clip, you will see a very apparent false flag being conducted, which was later leaked. 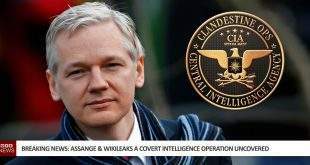 Despite this, the mainstream news still reported on it to further the British Governments fake “war on terror” agenda. And it’s important to remember. If something is a false flag, it doesn’t mean no one died. Every false flag is different. When there’s a terror attack in Iraq, Afghanistan, Libya or any of these other 3rd world countries, our news is full of very graphic images showing the attacker(s), the event and the aftermath. However. In Britain – a modern 1st world country, the most surveilled country in the world, at a concert where EVERYONE has a camera – we see pretty much nothing of it. Nothing convincing. A loud bang, a flash and few bleeding people – who didn’t even seem to be children. That’s it. 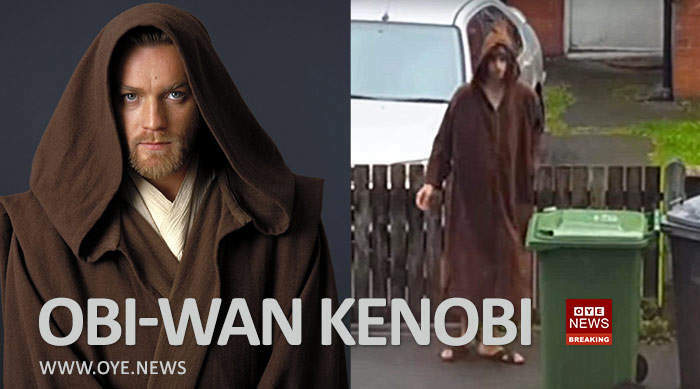 Oddly though; there are plenty of pictures of Salman Abedi taking out the rubbish dressed as Obi-Wan Kenobi from Star Wars. 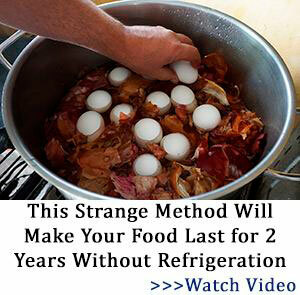 Does that not seem just a little bit strange? Maybe some hidden meaning? Does nobody see a problem with this? *If there are some images that we are not aware of, please post links to them in the comments section. Kurt also points out, GMP announced they would be carrying out a controlled explosion close by, that very night. The Manchester police tweeted that a controlled explosion would be taking place near the Cathedral Gardens, which is 0.1 miles from the Manchester Arena. This is confirmation of prior knowledge of the Manchester attack and indicative of a pre-planned drill. The tweet has since been deleted, further pointing to a cover up. Listen to Kurt’s interview about the Manchester Arena event, with our friend, Danny F. Quest, who played a pivotal part in the success of We Are Change with Luke Rudkowski. 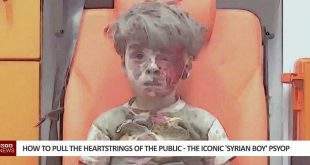 One of the most notable images used in the mainstream news is the one shown below. But on closer inspection, it’s quite clear that this is a fake. 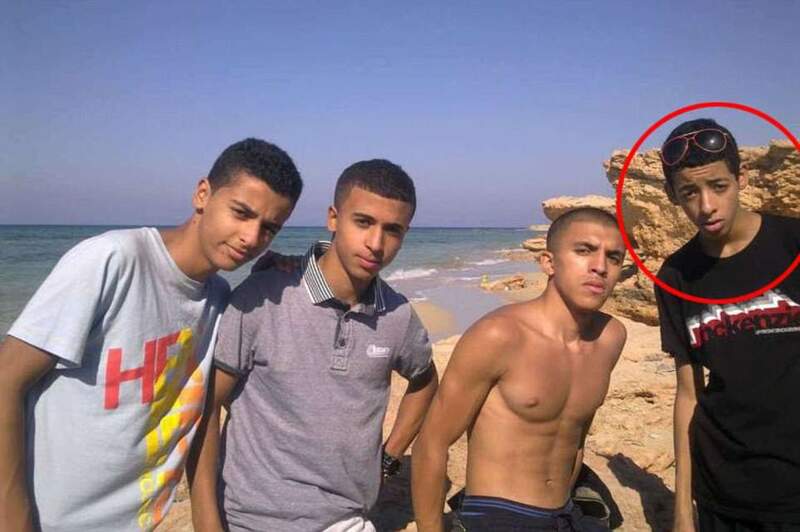 The shadows on Salman Abedi face are in the totally wrong direction. So why the fake images? What is the purpose of this. Is this part of a big propaganda push to deceive us all? 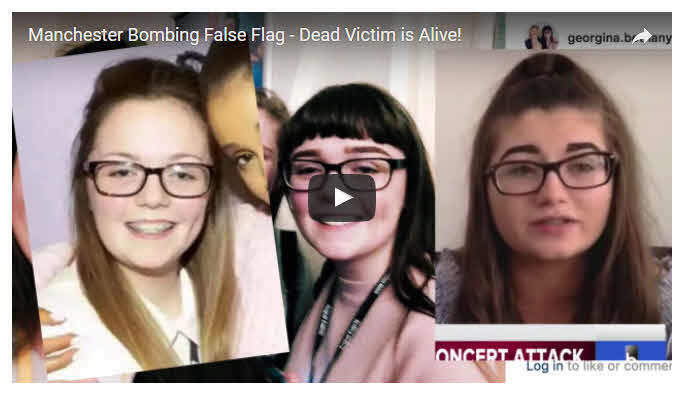 Why were the mainstream news using a girl that died months ago as a victim of the Manchester attack? The 2nd video seems to show one of the alleged deceased, doubling up as a survivor. The video is very convincing. What do you think. Is it the same girl or just a very coincidental lookalike? The below video has now been removed or made private. This is strange. The video was very shocking and did seem to show a deceased victim being used as a survivor. We can’t confirm if this was actually the case, but the video was VERY persuasive. We found a shadow copy here. Will be interesting to see if this one gets taken down too. Firefighters claimed they were forced to wait over 90 minutes before accessing Manchester Arena to help victims. Furious fire teams had to watch the atrocities unfold on television because they were “stopped” from entering the arena. No matter how much spin is put on this, it will never make sense. Maybe there was something inside the arena they didn’t want the Fire Department to see? 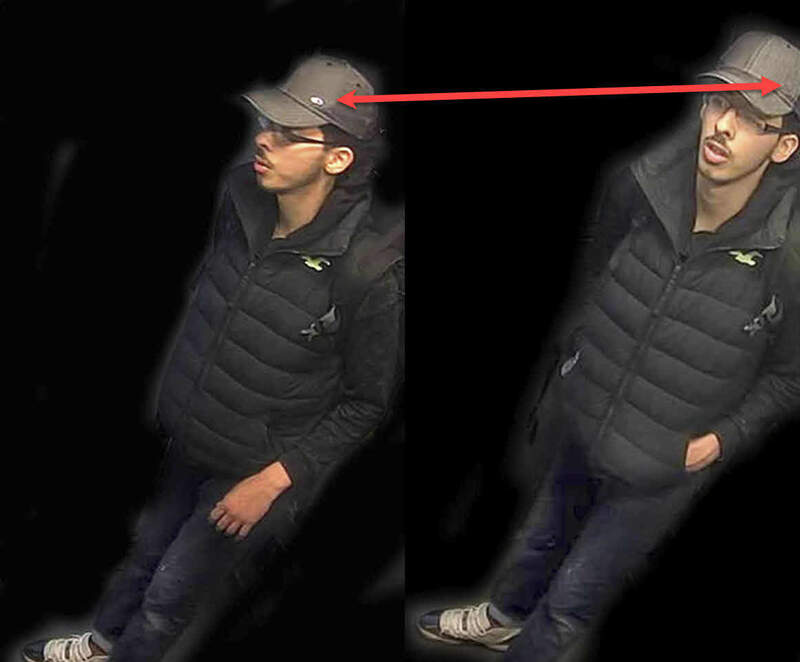 The BBC has now randomly released some very strange CCTV images that have been doctored/Photoshopped. Why has this image been tampered with? What need is there for removing the background? The hat is different in each image? This seems very odd. Is this covering up an unrelated image that’s being used to deceive us? Who is Andre Walker, why does he say this and how did he get this image just hours after the event? Andre Walker is a New York Observer Columnist and Lobby Correspondent based in the UK House of Commons. Andre Walker is a Lobby Correspondent covering the work of the British Parliament and Prime Minister. Before studying journalism at the University of London he worked as a political staffer for 15 years. Global Research states that Andre Walker is employed by Donald Trump’s son-in-law Jared Kushner. 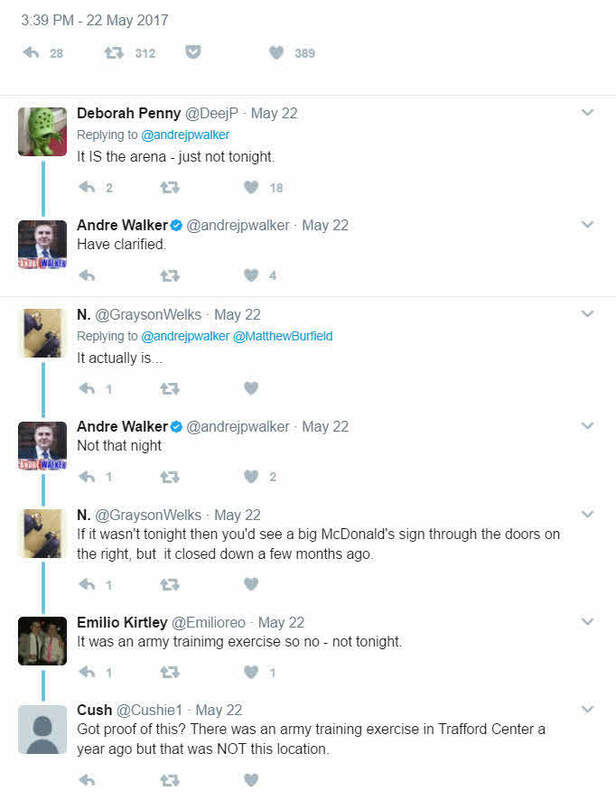 After the initial Tweet, Andre then changes his mind and says it’s not Manchester Arena that night. Someone else then says it’s from an army training exercise. 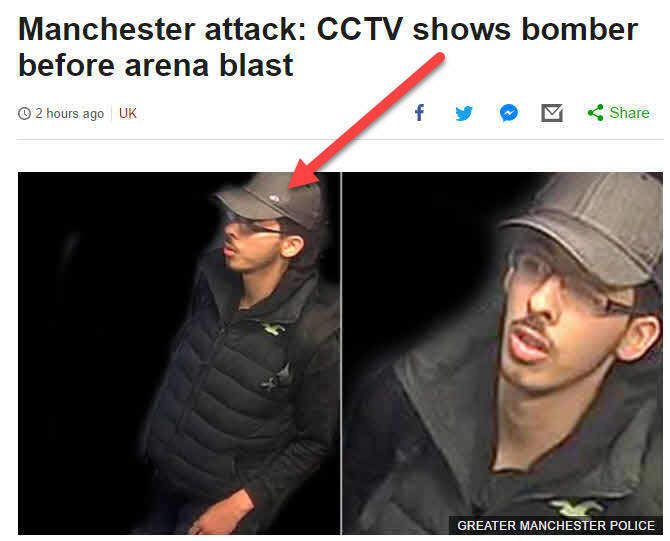 Is the image from the Manchester bombing, or is it another fake image being used by the mainstream news or is Andre trying to to deceive us? Which ever way you look at it, this is very strange. Either the regular mainstream news or Andre Walker, who is also mainstream news, is misleading us. But why? What purpose does this serve? Do the Dates Mean Something? Salman Abedi, 22 years old, kills 22 people on the 22nd at 22:22 (10:22pm) GMT. That’s 22 22 22 22 22. What are the odds? There seems to be some strange correlation with terrorist attack dates. What does this mean. Why always the 22nd? It’s reported that these numbers are significant in Luciferianism. Is there a connection? Can you even say such a thing without sounding crazy? One of the world’s most elite bankers offers an insight into Luciferianism and elites, in his shocking, yet ground-breaking, whistle-blowing interview. See below article. Max is a long term activist for truth. He is a regular guest on many of the largest news networks in the world, because it’s obvious he has great understanding of how the world really revolves. Listen to his views on the state of the world right now and how the Manchester event relates to a bigger picture. 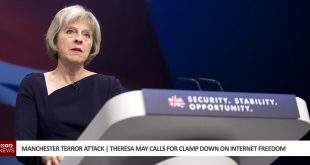 Theresa May had already began plans to censor the internet before the Manchester terror attack/false flag, and it was proving very unpopular when disclosed to the public. But now, since the events that unfolded in Manchester, the public have been subdued in to accepting anything that’s thrown at them by big government, no matter how Orwellian or tyrannical. The Manchester event couldn’t have come at a better time for those wanting to roll in a new era of fascism in the UK. The attack did not benefit Islamic Extremists, it only benefited the dark forces working within government. It also came at a perfect time to distract us from a very BIG and very important deal being made in the Middle East. The $110bn US arms deal to the terrorist state Saudi Arabia. That’s double the the total annual military budget of Russia, the 2nd most powerful military in the world. Saudi Arabia is the same country responsible for 9/11 and funding ISIS. The same country terrorising Yemen and creating the biggest humanitarian crisis in the world. The same country that treats women like animals. Can any normal person on this planet actually understand this? This is nothing short of pure evil. Why do we sit back and accept it? When looking for the real culprits, you should always look to see who gains the most. On the 1st June at 23:00 EST Danny will be featured on the Anti-media Radio show with host Jake Anderson. Danny will be breaking down in detail the Manchester bombing false flag. Here is the show. Danny appears at 12m14s to talk about False Flags and Manchester. Right now there's a big news story that kids might find upsetting. If you’re feeling a bit worried or you know a young person who is, this video might help. 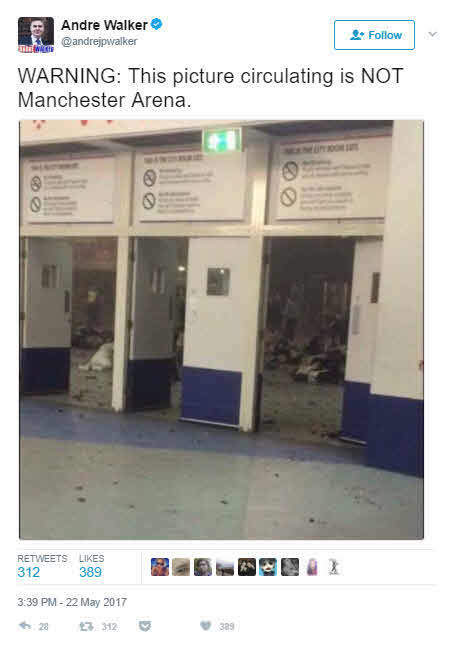 Please note: The author of this article is from Manchester and a few years ago lived just a short walk from the Manchester Arena, a place he often visited to see many concerts. The author is currently using his contacts and knowledge of the venue to try and find new leads, which will feature in future updates of this article. Should we take the time to do our own research and find the real truth from valid sources, or should we blindly believe the mainstream news and government, who may have a selfish agenda which does not care about you. Please use the comments section below to give us your ideas or any research you have found that you feel is important. If you find any spelling or grammar mistake, please call 999. And don’t forget to please like and share. That’s all we ask! When people die, it's very sad. But what's even sadder, is when your government exploits your emotions to kill more people in wars of occupation under the guise of self defence and humanitarian intervention. What people tend to forget is, both sides are controlled by the same people. 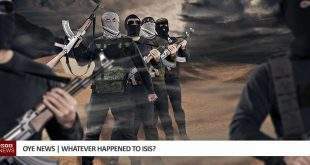 ISIS and the UK government are one and the same. So let's get our act together and get angry at this Satanism that's infested our planet. I’ve been trying to find people who PERSONALLY know someone who was killed or injured. I live in th UK, have hundreds of friends on FB so, in an exponential sense, am connected to millions of people. 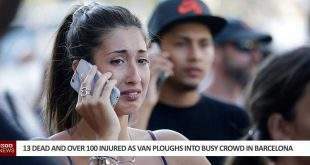 Wouldn’t you think that someone I’m connected to would personally know at least one person who was killed or injured. Six degrees of separation and all that. It absolutely was a false flag. Perfect timing, indeed. This POS smelled like a false flag the minute the dailymail reported “they” found the bombers wallet. “They” also found the intact passport of Hanie Hanjur in the pulverized and vaporized rubble of the WTC. Yeah right. Supreme fireball of fake jet fails to consume a paper passport. CCTV, the saving grace of all U.K. Crime shows on queue fails as it does 100% of the time with false flag attacks. Then suspend elections. What more proof does anyone need that there’s a rat in this fiasco. I’ll also add this re Paris attack. Exact same scenario unfolded here in Australia. During interviews French diplomats kept saying the media shouldn’t be giving terrorists their 15mins of fame until the facts are in. Australian media completely disregarded this seemingly logical advice and went about terrorizing us to the fullest possible extent. They didn’t give Martin Bryant any airplay what-so-ever for this very reason so why are they giving it to IS? Hi, Thank you for this. Just wondering what ‘devo’ means, as I’m old and not ‘with it’! Devo = Devo-stated = Devastated. Thanks TSelch. Keep an eye on it for further updates. Good article. ‘Bombing’ not ‘booming’ though. Thanks Jacqueline. The most obvious one went unnoticed. We always appreciate people helping out. We are volunteers working for free. So unfortunately, we don’t have a mainstream news budget to pay proof readers to make sure things are perfect. But who needs proof readers when all you lovely people help out. I was with you until the mention of devil worship. I will read it though again later, and will most certainly report any spelling or grammar errors to the relevant authorities. Would be interesting to know why we lost you at the devil worship part. I’ve updated that part and the attached article to be more informative. Take some time to look at the subject and you might be a little shocked to how much truth there is in it. It certainly explains why the world is so evil right now and who’s pulling the strings. If anyone has any new information you feel would be an important addition to this article, please post below this comment. Anyone else find it odd that the evidence came out unbagged and in plain sight for photographers? It has crossed everyones mind of that I have no doubt. The timing of it has left people very edgy. Without proof the danger is that people will just get into accusations and counter accustions distracting people from the policy issues which are vital for the countries well-being which need to be focused on at this time. Hi, I’m new to this alt news stuff. This false flag event. Does that mean it didn’t happen and nobody died? Or that the bomb was set by Mi6? was it not also alleged that one of the 4 london bombers was an intelligence service asset? Certainly makes you wonder. But why would the government want to kill children? One of the homeless people that helped after the bombing, said he’d cradled someone until she died. And he’d seen a girl who’s legs had been blown off. Then that satanic sacrifice bit? Sacrificing kids? Kinda made me think if thats what happened to madeliene mccann, cus some bigwigs ie, coppers, judges etc, are clearly protecting them. This is a very insightful article. It raises many questions to answers which have been preset. OYE – how can I get be part of your team? What is the procedure to join? Could someone PM me with information? I’ll go along with the latter point. I was watching things unfold on the BBC news channel who said that ‘US sources’ were claiming that it was a suicide bomber. That was the first mention they made of it. Might it still be on their TV catch-up section? Yet people in public area was standing and watching those who were running out of the concert hall.